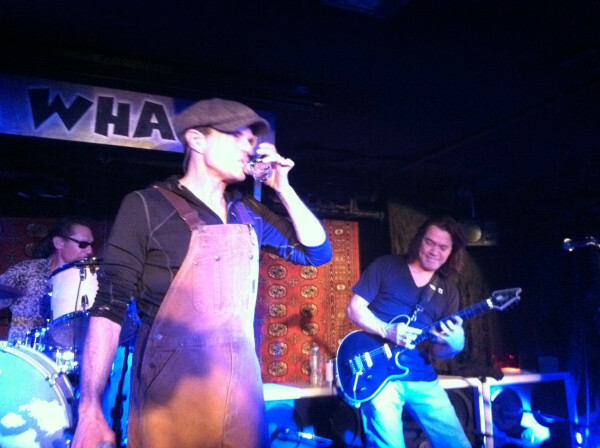 Van Halen returned to live action Thursday night with a rare, media-only club show at New York’s Café Wha? The event was to help promote their forthcoming new album, “A Different Kind Of Truth,” due February 7; the project’s first single, “Tattoo,” is set for release next Tuesday. Thursday’s 250-seat club show was the band’s first live set since their July 3, 2008 gig at the Plains Of Abraham in Quebec City, the final show of the group’s 2007/08 reunion tour with David Lee Roth. The new song has a real history with the band: it was one of the tunes recorded for the Gene Simmons-produced demos in 1976, and it was re-recorded a year later as part of the 1977 Warner Brothers demos. The original version of the song includes riffs that were later found in “Mean Street,” from 1981’s “Fair Warning” album.